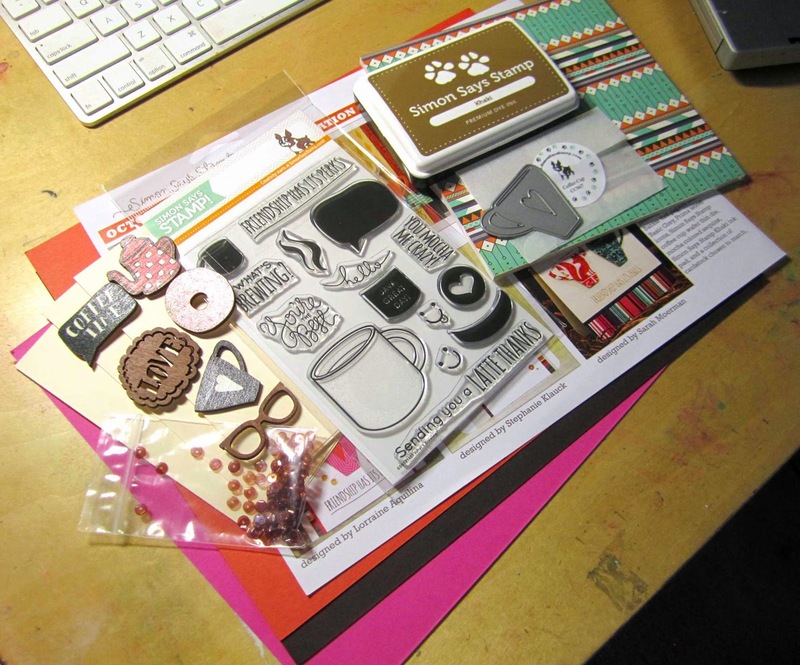 I'm back with card #3 from my personal card challenge using the Simon Says Stamp October 2014 Card Kit! I CASE'd THIS CARD by the fabulous Kristina Werner. I think it was seeing her card that threw me over the top in getting this kit and I knew I had to recreate it. She used Copics on her card but I used watercolors. Other than that, I pretty much kept it the same as hers! 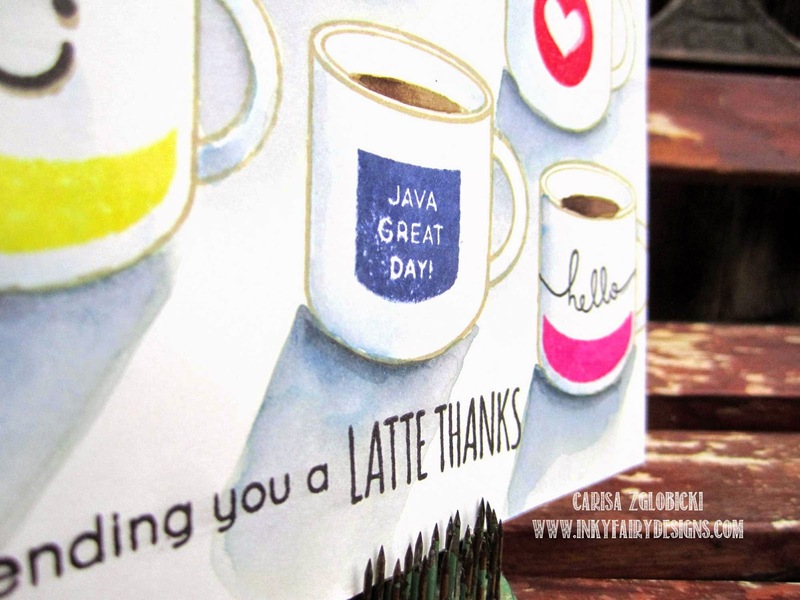 I used Distress Inks to do my water coloring and I also used Distress Ink pads for all the stamped elements on the cups. For the cups themselves, I used the SSS Ink Pad that came in the kit. It is perfect to use with watercolors - doesn't bleed at all! I stamped everything on watercolor paper and then got down to painting. Here is a little close up - I added Wink of Stella in clear to all the cups for a little shimmer. I have to admit, I am in love with how this card turned out! Thank you to Kristina for the awesome inspiration! 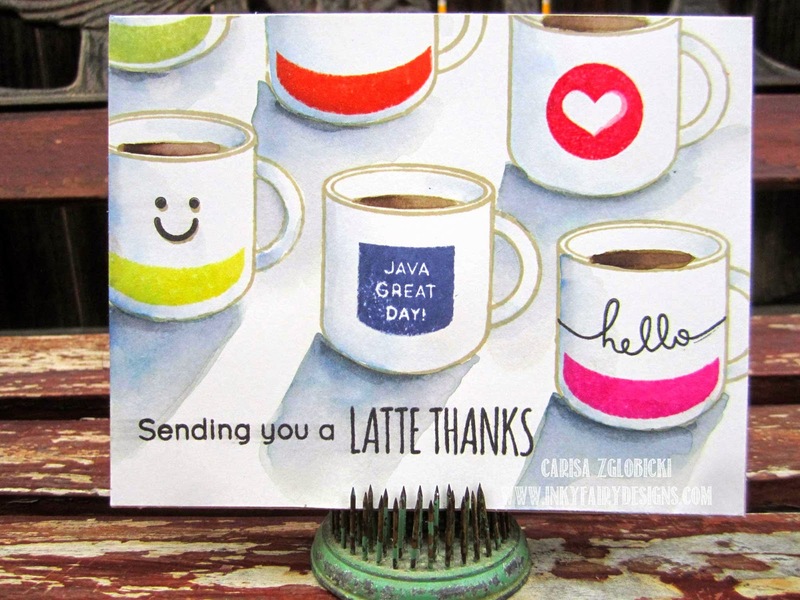 Love love love... not only because I'm a coffee addict but because this card is fabulous!! LOVE!! Wow....the watercoloring on this card is fabulous!! Love the texture of the shadows that the watercolor gave over the clean lines from the copic marker! Awesome job! I also saw Kristina's card and loved it but I think the watercolor is even more beautiful! You should be happy with the way this card came out. Had to come over from the SSS inspiration board to say this is a stunner. Love the way you created the shadows, just amazing.